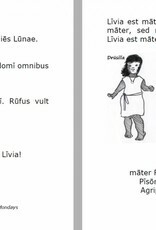 To read and learn Latin without continuously having to analyze, puzzle over and translate language, that is the goal of the series "Pisoverse", a series of easy readers in Latin written by Lance Piantaggini. You can read these short novels, composed with a (very) limited amount of constantly repeated words and constructions, at a very early stage in your learning, without having to struggle for comprehension. 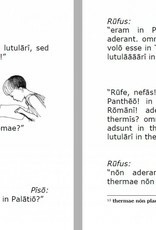 Thus enabling you to enjoy Latin and build confidence in this language with its many inflections. Rufus Lutulentus contains 20 words, returning again and again in different forms. 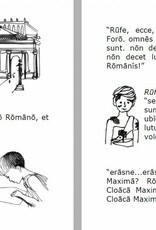 With a little help from the glossary at the end of it, this booklet can be read individually after only a few months of Latin classes. It is also well suited for reading in class and can be used to spark off discussions about, for instance, Roman culture. The story is set in Rome: Rufus wanders through the city, visiting the Forum Romanum, the Pantheon and of course, the Circus Maximus, where gladiators fight their battles. The one place he avoids at all costs is the baths, because cleaning himself... that's not his cup of tea. Hence the title: Rufus covered in mud. The "Pisoverse" series offers books about Piso, his brother Rufus, Drusilla, the girl from next-door, and others. The booklets not only vary in length, but more importantly in the amount of words used, from 20 to 120. Some of the stories include an explanation about cultural aspects, pronounciation, poetry etcetera. 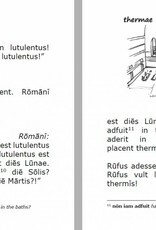 The series is also recomendible for those who are interested to know how much Latin is comprehensible after mastering one of the latin languages or how much Latin has remained from their classes at school. Is 'Rufus lutulentus' suitable for you? You can read the first pages by clicking on them on the left-hand side. If you can read these fairly easily this book is the right one for you. This book has a Latin-English glossary at the back. "It is amazing how a story in so few words remains interesting and enjoyable throughout. Like a lot of young boys Rufus isn't interested at all in washing himself. Does he go to the baths in the end? 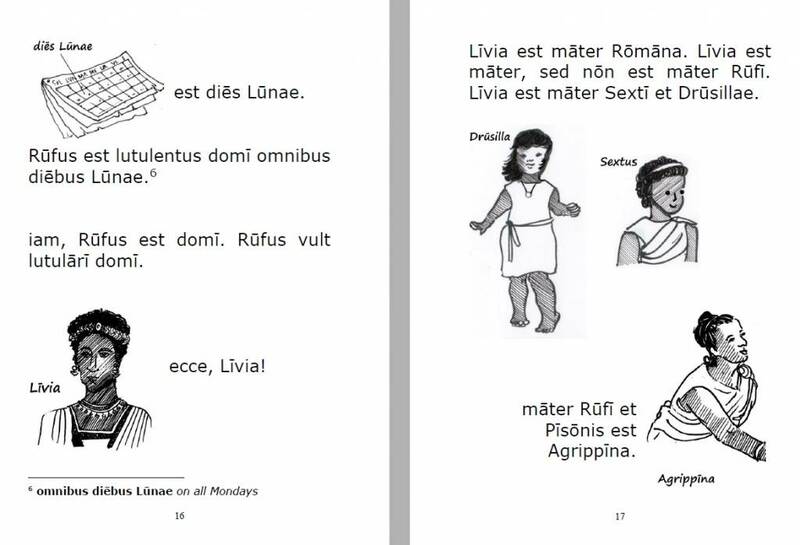 Before you find out you will have made a walk through ancient Rome and you will know the days of the week in Latin." 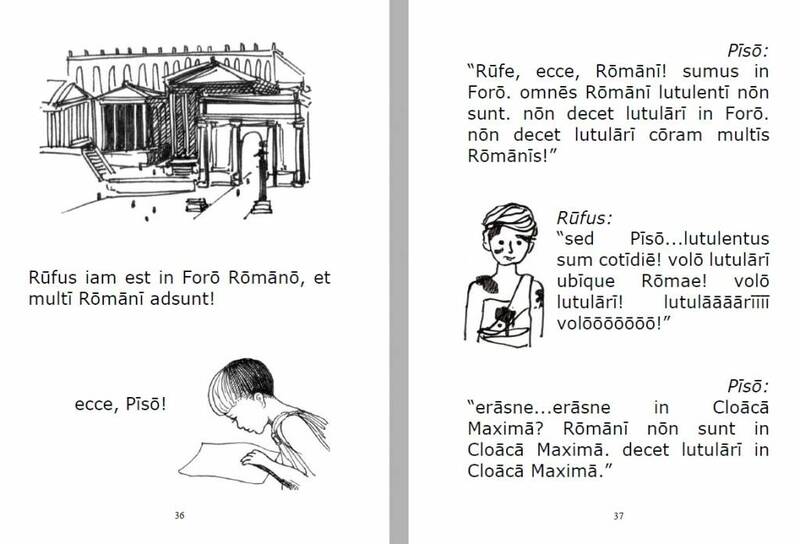 This booklet and in fact all readers in the "Pisoverse" series, are suitable for children and for grown-ups who are just starting to learn Latin. The books are suitable to be read individually or can be used in your classes, in which case before and after reading activities will enhance interest and comprehension. Cultural aspects of ancient Rome are covered extensively, adding interest to the reading. The characters in the series are young teenagers, so pupils in the first and second year of secundary education can relate to them easily. 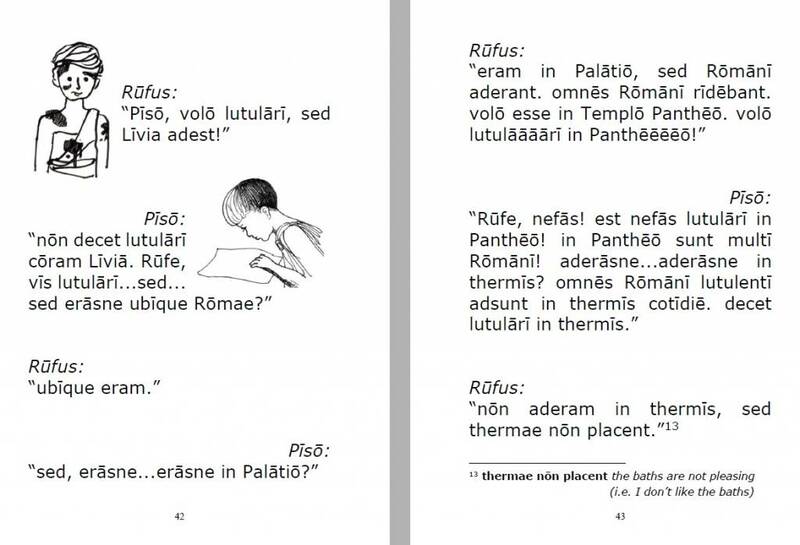 The easiest Latin novel ever! Rufus helps a famous gladiator find his missing weapons. 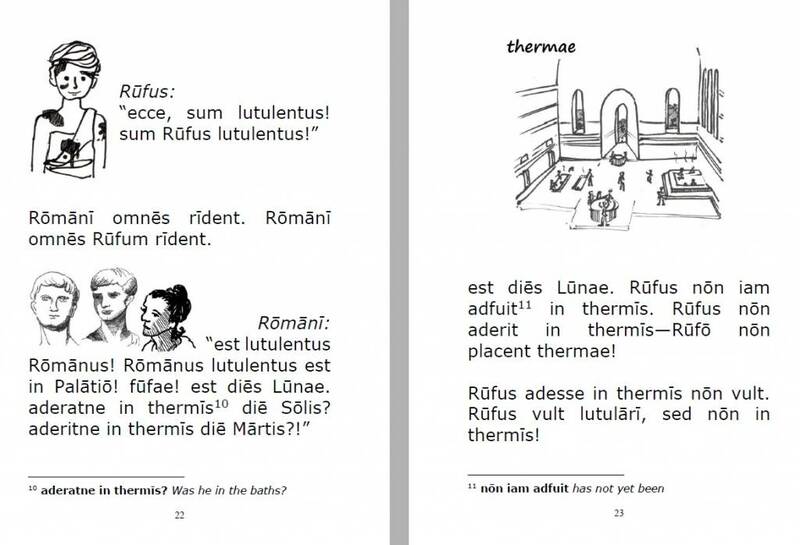 Fun and easy, perfect for beginning learners of Latin!